In 2014, Luxury Resort Photographer Antonio Cuellar had the pleasure of photographing the magnificent 17th century Broughton Hall in the Yorkshire Dales area of the UK. Located along a picturesque private driveway is this incredible castle rental, a historic house which oozes quintessential English tradition everywhere you turn welcoming visitors to this glorious part of the country. Majestic in stature, Broughton Hall offers discerning guests the opportunity to experience life as nobility while staying, dining or holding an event in their marvellous structure. You will find Broughton Hall nestled in the beautifully wild and windswept dales of North Yorkshire, a short drive from the pretty market town of Skipton. The area around Skipton is known as the gateway to the dales and there are many places to explore nearby. Visit Skipton castle, one of the only fully roofed medieval castles in England, or hire a canal boat and cruise the regional waterways, there are also many areas to cycle and hike close to your castle rental. Broughton Hall is an exemplary castle rental for filming TV and movies in the period drama genre, the exterior and interior has already featured on popular films such as Wuthering Heights and A Woman of Substance. 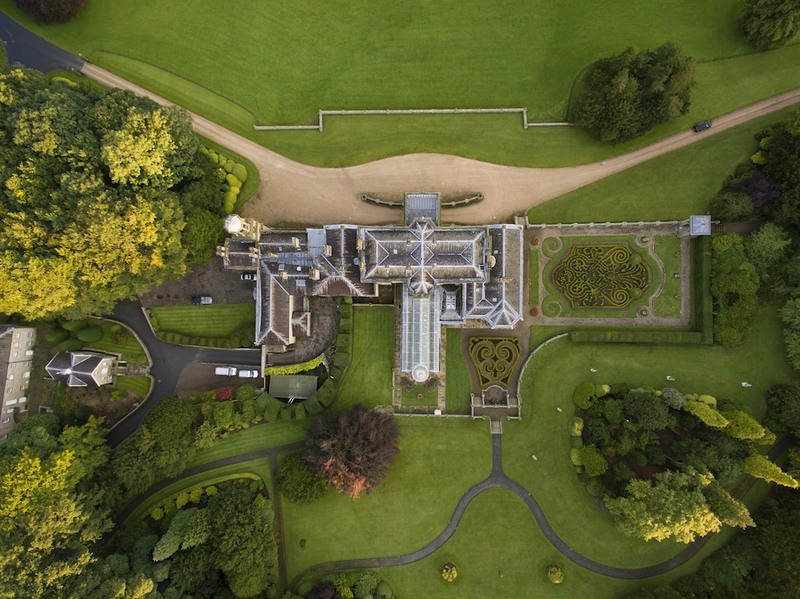 It’s not just the stately home which has been showcased, the private roads, derelict barns, Victorian conservatory and surrounding private woodlands have also featured in many shows and movies. 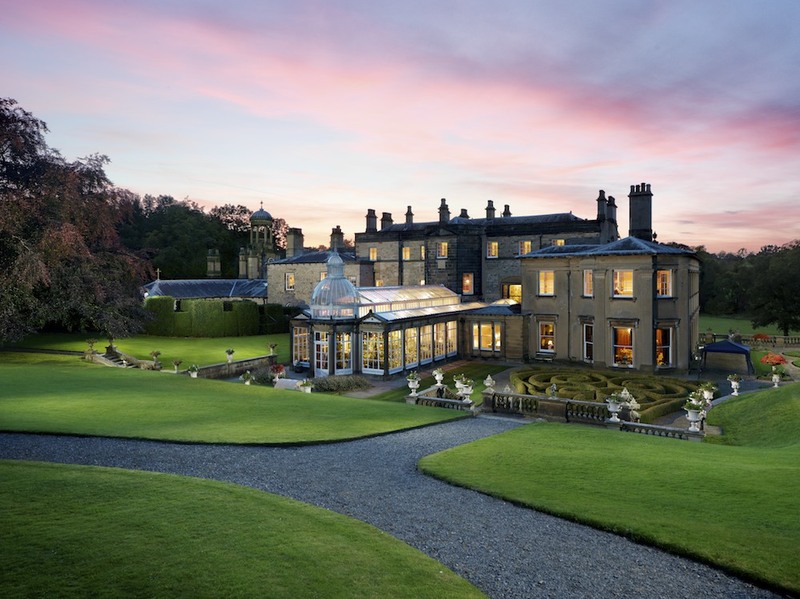 For those seeking a unique location for business events, wedding or anniversary celebrations or even a lavish house party – Broughton Hall is the perfect dream venue. Up to 60 overnight guests can be accommodated within the castle rental itself and among the holiday cottages sprinkled around the estate. 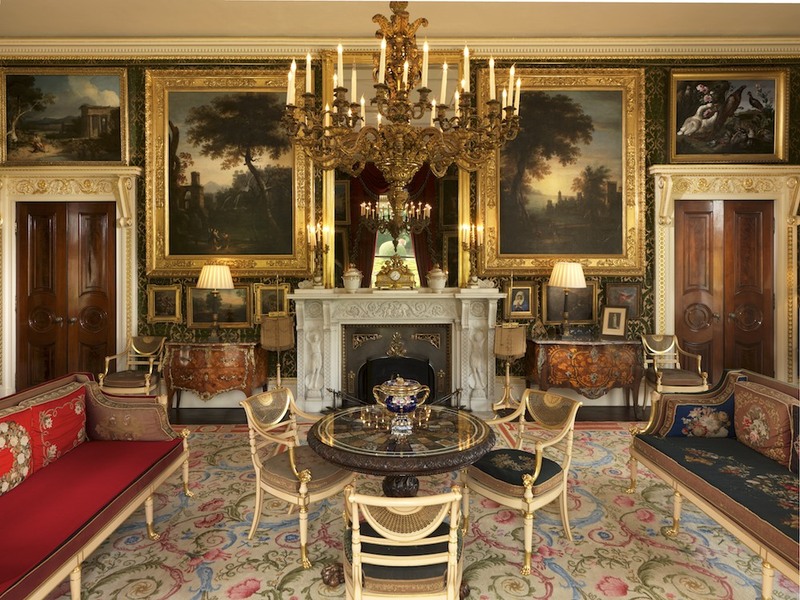 With warming fireplaces, opulent marble pillars, ceiling reliefs, period furniture and ornate chandeliers it is the perfect home to rent for a special occasion. There are many reception and function rooms to choose from, the Green Drawing Room is opulent and palatial with red velvet seating, gold flock wall paper and regal drapes trimmed with bronze fringing. The artwork compliments the room perfectly with ancient scenes playing out as guests enjoy a sumptuous dinner and a glass of the finest wine. The guest accommodations in your castle rental are decadent and each unique, portraying different historic periods. 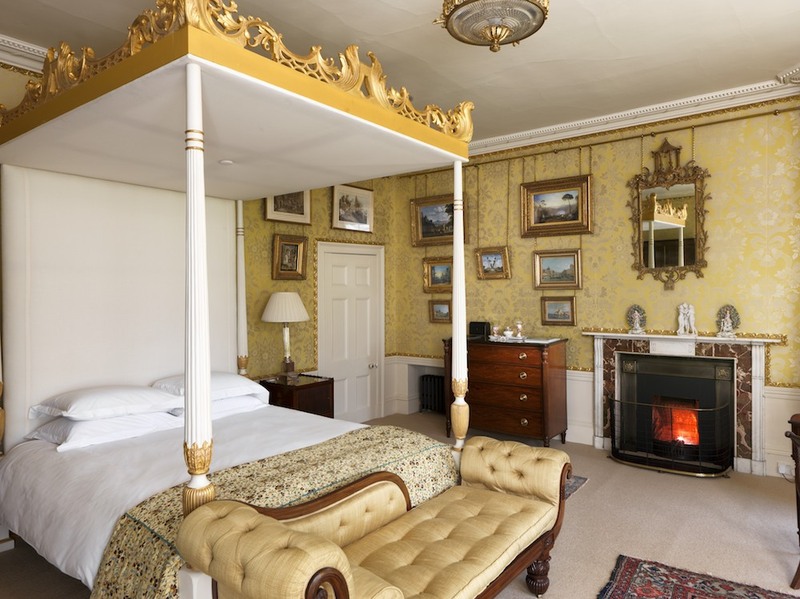 Walls are finished in muted floral period wall papers or painted forest murals, ornate fireplaces heat the rooms, candlesticks line mantelpieces and a chaise longue languishes elegantly at the foot of the four poster bed. Ancient ancestors peer down from their gilded frames to see who is staying in their room this even ing. 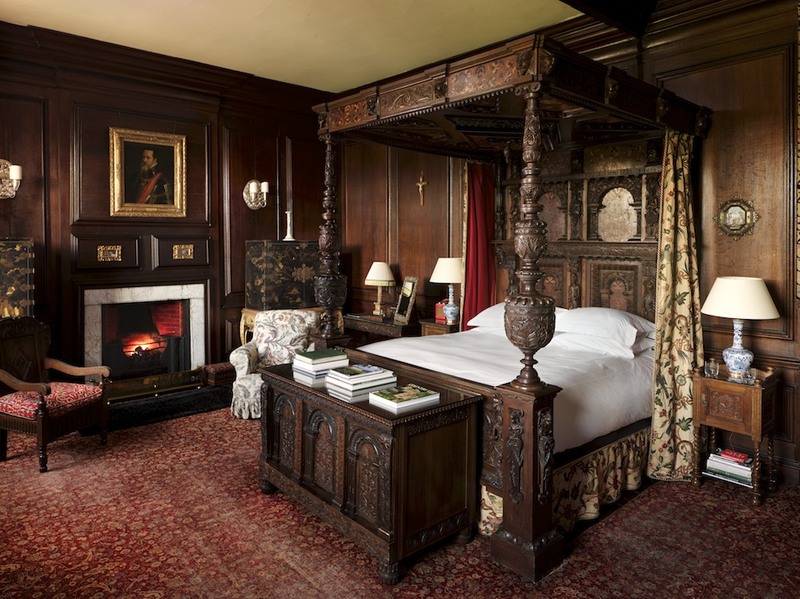 It is fair to say that the guest dwellings are fit for royalty, four poster beds, wood panelled walls, antiques and atmospheric lighting maintain the ambiance you desire in this luxury establishment. Bathrooms have all modern amenities and guest accessories for your convenience. Claw foot baths, with brass fixtures and fittings sit either in front of the toasty fireplace or inside a bathroom with illustrated wall postcards which are unique and interesting to view while soaking in the bath tub. 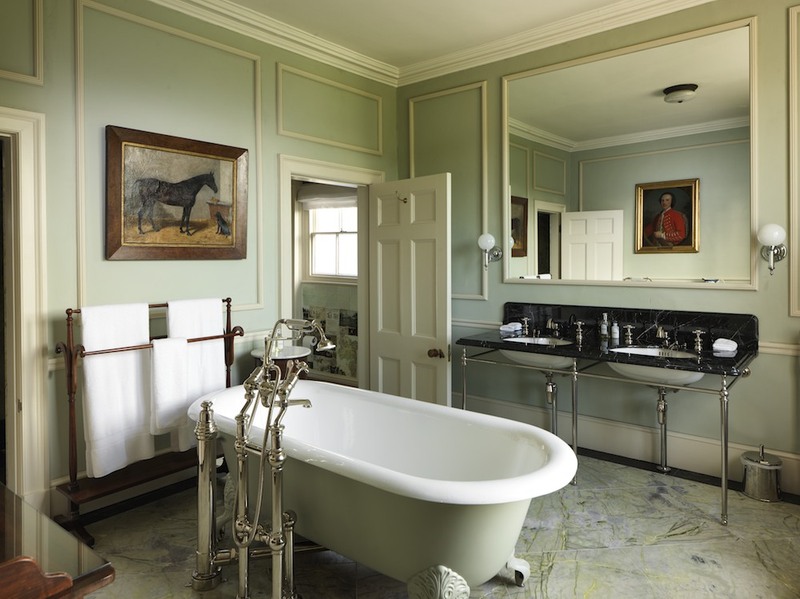 Some of the bathtubs look out on to the sculpted gardens allowing you the opportunity to contemplate and reflect, within truly beautiful and regal surroundings. 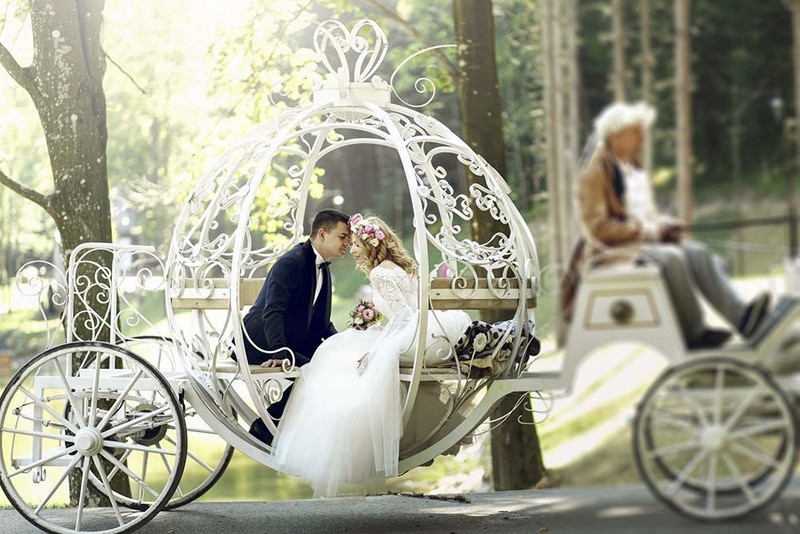 For a special day or event such as a wedding, Broughton Hall can bring your fairy-tale dreams to life. Come rain or shine there are incredible photographs to be taken, whether you desire a Winter Wonderland with the countryside and venue covered in delicate flakes of snow or you wish for the ornate and well-tended gardens to be in full summertime bloom, it is all here for you. The venue is licensed to hold ceremonies in the drawing and function rooms, where you can marry surrounded by friends and family. 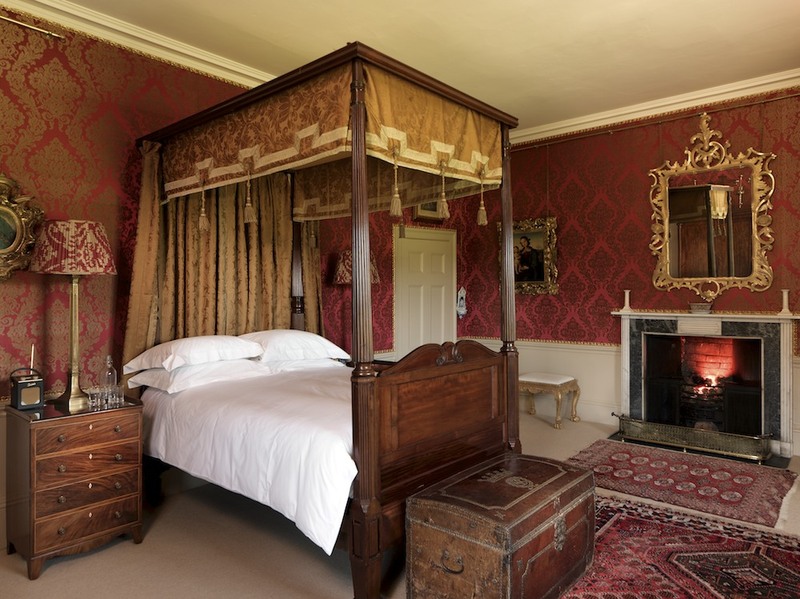 Guest bedrooms are available to rent inside the hall itself for a number of guests. Photographs can be taken anywhere inside the castle rental, or throughout the 3,000 acres of stunning parkland, depending on the time of year and weather permitting. One of the fine indoor spaces is the Victorian Orangery, bedecked with a variety of floral species, painted mural and its glass domed roof and elegant façade, it is a classic and unusual area from which to take many photographs to commemorate your special day. In addition to the glorious 17th century Broughton Hall, the more contemporary venue of Utopia is also available for weddings and celebrations. With its own private red bricked walled garden, you can host your entire celebration here. The building was constructed in an ecologically friendly manner in order to blend in with the surrounding countryside, and the venue lets in lots of natural light, making it ideal for use in the winter months too. If you prefer a modern venue without compromising the outdoor surroundings, this could be the perfect location for your event. There are six bedrooms in the Eden accommodation which compliments the Utopia venue, however Broughton Hall will gladly arrange luxury camping for additional guests in the private grounds should you have many more in your party. It is worth mentioning that if, during the summer months you prefer your entire event to be held in the great outdoors in the attractive gardens, that a marquee and all the facilities can be arranged for you to do so. Before you dismiss Broughton Hall as just a wedding or corporate function venue, don’t despair – short breaks can be taken on this magnificent country estate as well. Self-catering holiday accommodations are available to rent in modern barn conversions and cottages in the grounds. Perfect for short romantic stays or a trip with family or friends, the guest accommodations of Eden and Higher Scarcliffe are well equipped with log burning stoves, central heating and can sleep up to eight guests. Particularly popular with cyclists, the 3000-acre estate is a great starting point from which to explore the Yorkshire dales and surrounding market towns and villages of Skipton and beyond. Eden’s Big Book of Adventure can be found in the accommodation, the purpose is for management to inform guests that during their stay they can organise any form of entertainment for them, from sports and adventures to music. Bespoke catering can also be offered for groups staying here if booked in advance. It’s a wonderful place for intimate summer barbecues or summer picnic evenings in the well-crafted grounds. Each of the 40 residential properties have all been refurbished with modern amenities which guests to enjoy the surroundings of the Broughton Estate. The local public houses The Tempest Arms and the Bull Inn are a short stroll or bicycle ride away. Castle rental residents all receive a 15% discount off food and drink. The peace and tranquillity of Broughton Hall and its residential quarters is the perfect place to attract those with creative flair too. With verdant landscapes, period features, 17th century architecture and a poetic location it is sure to inspire artists, composers, writers and poets who decide to stay a while. For larger events the Broughton Hall Estate is unique too, with space for many outdoor events, classical music concerts, game fairs, dog shows, classic car rallies and artisan markets – it would certainly bring guests flooding to the area. 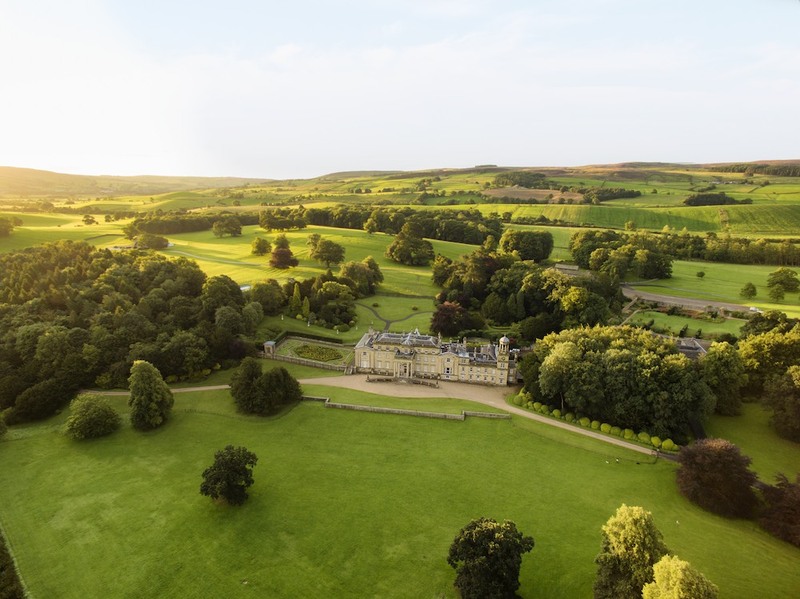 The parkland and stunning backdrop is ideal for large scale event, with rolling hills, spectacular setting and good old fresh Yorkshire air. 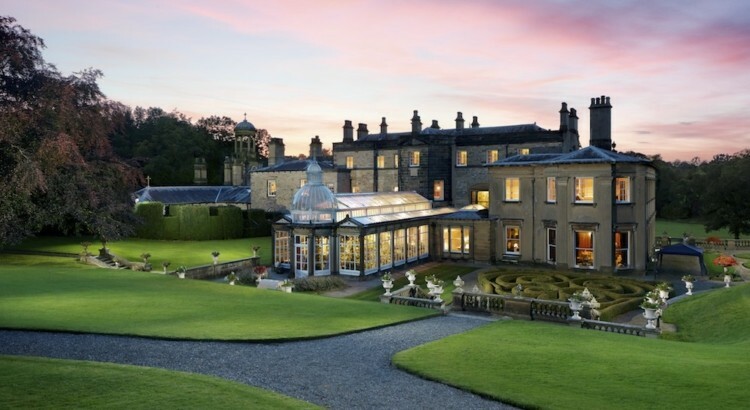 If you are planning a visit to North Yorkshire and are seeking either a unique event venue or just a getaway with a loved one, family or friends then Broughton Hall should be high up on your list. 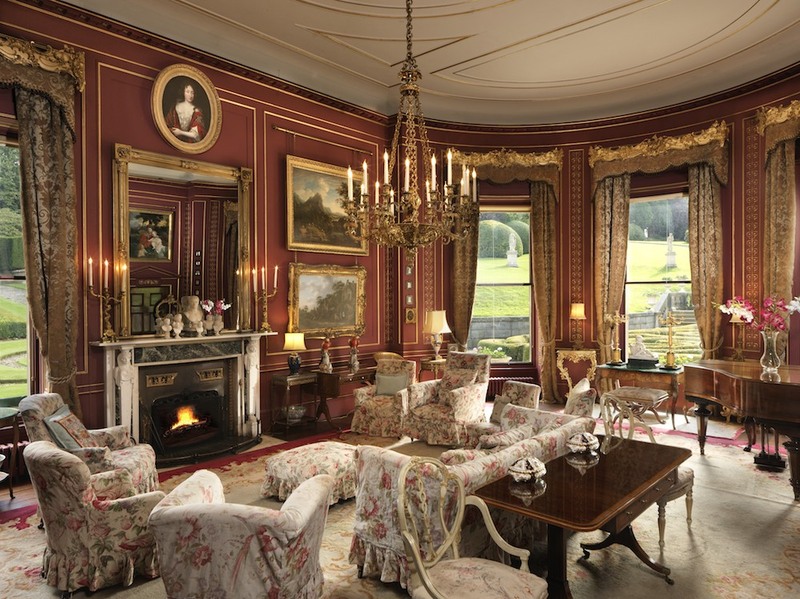 It has everything you imagine of a traditional English castle rental and more. Angela Murray I love to travel, ever since my first visit to Italy at 3 years old I was hooked. As the years progressed I found myself as a teenager working in Spain and France guiding excursions around Barcelona and the medieval walled city of Carcassonne in France. This was a life-shaping experience where I developed a love for everything Gaudí, Monet and Salvador Dalí which has never left me. Since then I have lived in Edinburgh, London and the English Lake District – until Spain and Portugal pulled me back for another 9 years. This time I worked in luxury real estate and interior design, which is where my interest sparked in architecture, hotels and décor. These days I find myself just outside London – planning my next travel writing adventure, and there are many more destinations on my list! The Highlands – African luxury resort. Antonio Cuellar is a luxury resort and hotel photographer and a avid travel blogger.